We want to try at least ten new ones, including the aforementioned trio. 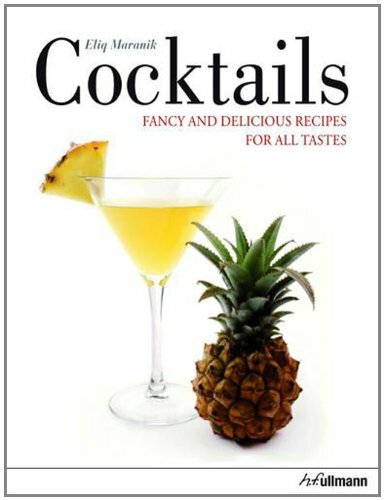 That’s due to the fact that each cocktail is gorgeously photographed, one per page, in mouth-watering beauty. Each drink has a sweet little factoid accompanying the recipe; readers learn, for instance, that the Bronx has been around since 1906, courtesy of the Waldorf Astoria, and which cocktail was Fidel Castro’s fave. As to writer Eliq Maranik’s credentials for writing about liquor? It’s her first book, but it did win the Gourmand Cookbook Award. And she did a fantastic job of compiling compelling classics with exotic new twists in a delectable and captivating manner. Bottoms up! Top 10 Cocktail Bars in the U.S.